Infants are at the same risk of developing pressure sores and ulcers as adults, and as such must have the right type of mattress to protect them. Designed to fit the Sidhil Inspiration Cot, the Sidhil Lullaby Dynamic Pressure Relief Paediatric Cradle Mattress is a three cell full mattress replacement system designed for users at high to very high risk of bedsore development. 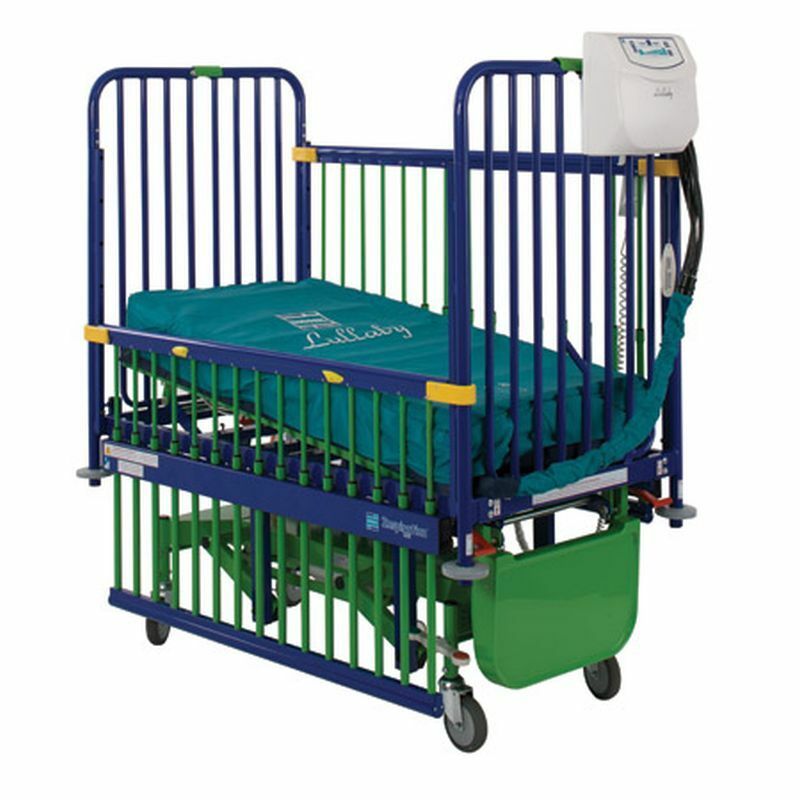 Constructed for stability with a twelve minute cycle time, the pressure cradle is an ideal option to protect vulnerable children from pressure sores. For some children at especially high risk of pressure ulcer development, the viscoelastic mattress provided with the Inspiration Cot may be insufficient. For these children, the Lullaby Dynamic Mattress is an ideal option, providing excellent alternating pressure relief to suit those at high to very high risk of sore development. Please be advised that the Sidhil Lullaby Dynamic Pressure Relief Paediatric Cradle Mattress is usually delivered between 1 - 2 weeks of your order being placed. We would advise you to consider this delivery estimation before placing your order and apologise for any inconvenience that this may cause. For more information, please contact our Customer Care Team at 020 7501 0592.